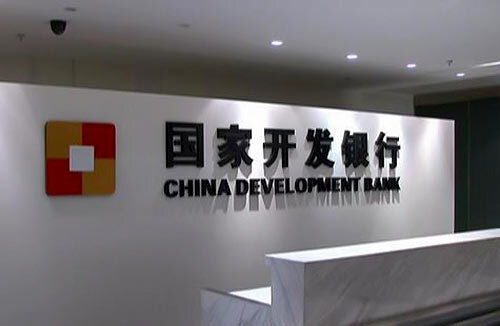 Sri Lanka has accepted an eight-year China Development Bank $1 billion syndicated loan to repay loans maturing this year, two top Finance Ministry officials said on Friday. The bank was chosen from among four bidding for the loan, which the government plans to use towards repaying other loans, one official told Reuters. “All three others had three-year tenure and only China Development Bank had a bid for an eight-year tenure. The effective rate of return is around 5.3 percent,” the official said. Another ministry official confirmed the deal. The new borrowing comes after Sri Lanka raised a record $2.5 billion via two tranches of sovereign bonds last month. The government is also preparing to refinance big debts that fall due up to 2022, with the start this year of repayments on expensive infrastructure foreign loans. The government has blamed “colossal borrowing” by the previous government for the spike in debt servicing. Finance Minister Mangala Samaraweera said last week the debt crisis would further worsen next year, when $4.3 billion has to be paid for debt servicing in 2019. Some 77 percent of the next year repayments are for debts obtained by the previous government, he said. Sri Lanka, which has a $87 billion economy, expects foreign currency outflows of $6.35 billion in the next 12 months including loans, securities, and deposits, compared with the current $9.1 billion in foreign exchange reserves, according to the latest official central bank data. The cabinet has approved plans to borrow some $5 billion in 2018 to refinance the debts due this year. How much is the komis and to whom? The economic growth of a country depends not only on the Government policies but also on those who implement those policies. The growth of the economy depends not only on the inflow of capital but also on those who execute and manage those capital investments. An economy does not grow simply based on the theories put forward by economic pundits but it is driven by the people who empower it. If you want to understand the real economy of the country look at the lives of ordinary men and women; the workers who travel daily by bus to work and the farmers who toil in the field.